Legendary reliability and durability combined with remarkable performance. Legendary reliability and durability combined with remarkable performance and worldwide customer support make NAIAD Stabilisers the first choice among the world’s most experienced yachtsmen. Unrivalled experience base in yachts of every description. All vessels have their own roll period depending on hull shape and loading. Wave motions initiate this roll and, if in close synchronisation with the hull’s natural roll period, roll may build to uncomfortable or even dangerous proportions. The principle behind NAIAD fin stabilisation is to counteract the tendency of a vessel to roll with an equivalent and opposite righting moment applied in exactly the proper phase and proportion. 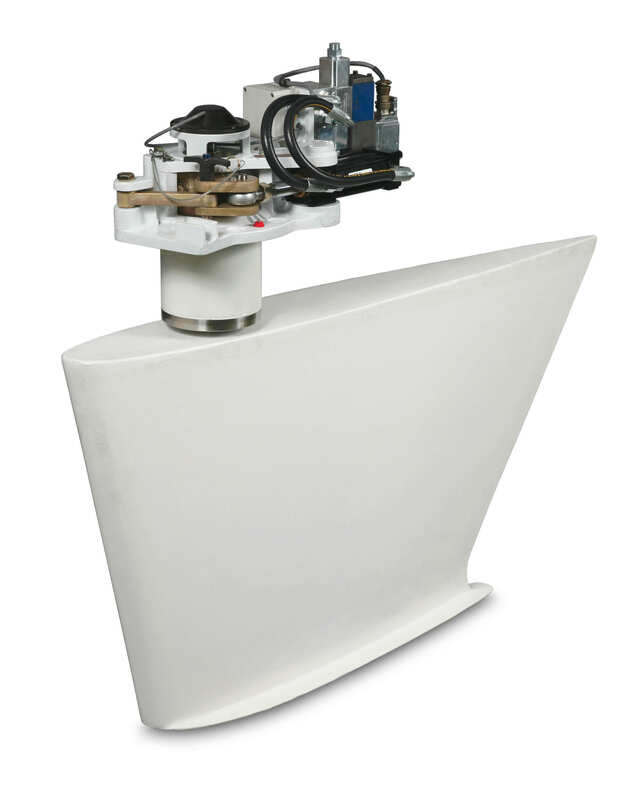 These righting moment forces are typically generated from a pair of underwater fins, although other control surfaces are also available. Wave forces are thus prevented from aggravating the vessel’s natural tendency to roll. A rolling boat does not operate at maximum efficiency and over a long course, steers a zigzag track. With the advanced NAIAD active roll stabiliser system, a vessel steers a nearly straight course, often actually improving fuel economy.